Last weekend, the Cal women’s volleyball team got the rare opportunity to compete at one of America’s most important buildings, the Pentagon. But this weekend, the Bears will be returning home to Haas Pavilion, no longer performing for those in uniform but for passionate home fans. “Having four upcoming matches at home is definitely called for right now — it feels good to be back,” said Cal head coach Rich Feller. The Bears will have stiff competition this weekend, going up against their last two nonconference opponents of the year. 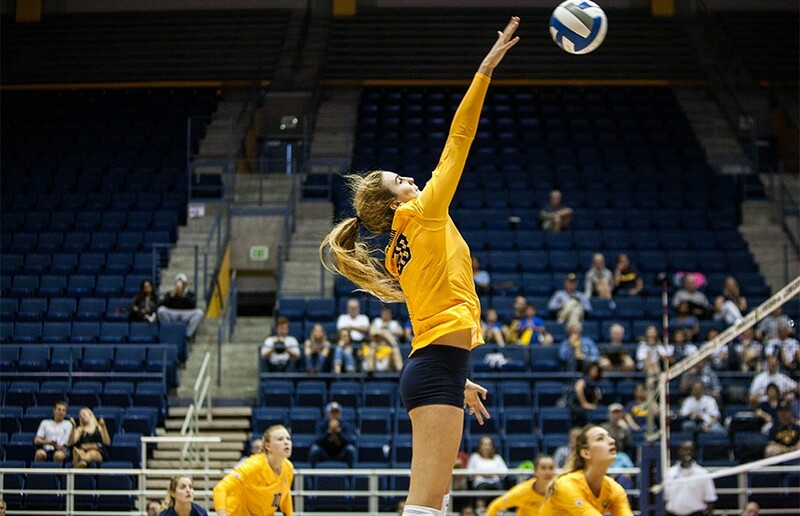 Cal’s toughest test will undoubtedly take place Saturday night, when it goes up against Pacific, a team that is coming off a grueling five-set loss to Linfield. Pacific has several tough players who can definitely give the Bears trouble, especially when it comes to junior outside hitter Tiare Kaopua. Kaopua has been a dominant offensive force for the Boxers, leading her team in kills in its last two matches against Evergreen State (15 kills) and Linfield (13 kills). As far as defense goes, the Bears will also have their hands full with sophomore libero Karissa Komo. Just as Kaopua has been a dominant force for the Boxers on the offensive side, Komo has been just as dominant on defense. This was displayed in Pacific’s last match against Linfield, as she finished with an astonishing 24 digs. Luckily for the Bears, they will also have several players who will be entering this match on a hot streak, including junior libero Maddy Kerr, who made history last weekend by registering her 1,000-career-dig mark. Not only is this an important milestone in Kerr’s career, but it also symbolizes her importance to the Bears as the team’s defensive specialist. This season, Kerr has displayed her defensive brilliance time and time again, keeping the Bears in plays that should have ended in a dead ball. Kerr will need to continue to keep plays alive this weekend if the Bears are looking to get past Pacific. 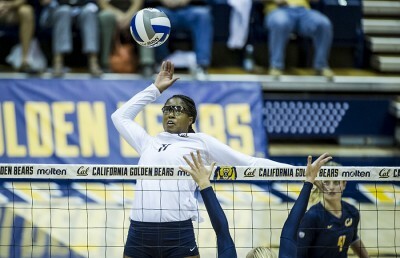 Thankfully for Kerr, motivation won’t be lacking, as she’s entering this match only 94 digs short of breaking into Cal’s all-time top-10 list in this category. The Bears’ freshmen will also be important heading into this weekend, especially when it comes to Carmen Annevelink. Annevelink is coming off one of her best career performances in Sept. 11’s four-set victory against Army. 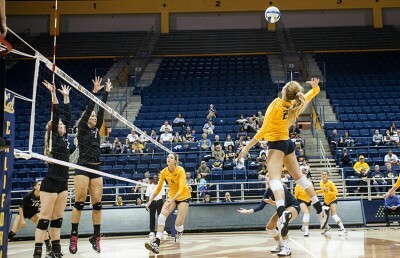 She led the entire team in this match by finishing with not only 15 kills but a .275 hitting percentage. “I think being able to play more and more with the older girls is making us become much more comfortable with each other,” Annevelink said. A victory against Pacific would be huge for the Bears, as it would allow them to enter Pac-12 competition with plenty of confidence.